My Swimming Life 2012. Almosts. Continuing the series I started with the Swimming Locations of 2012, followed by Swimming 2012 Continuing the Pictorial Tour, this is the second post of “runners-up” for my favourite photos of the year. And a rename of the series, people seem to be enjoying, very gratifying for my moderate skills. There will be two more, of what I think are my best/favourite photos from 2012. You know what they say, just keep taking photos. 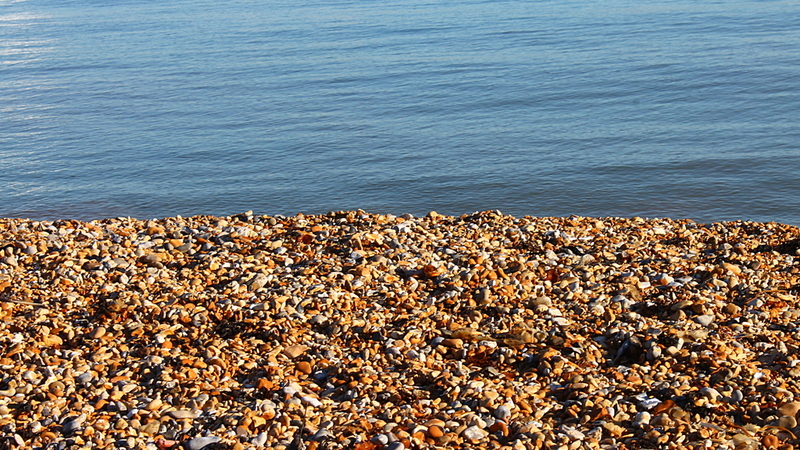 An unoriginal photo, but a nice contrast of colours and high tide of the Dover shingle I mentioned in the last post. The Fermoy Fish is making quite a few appearances in this series. 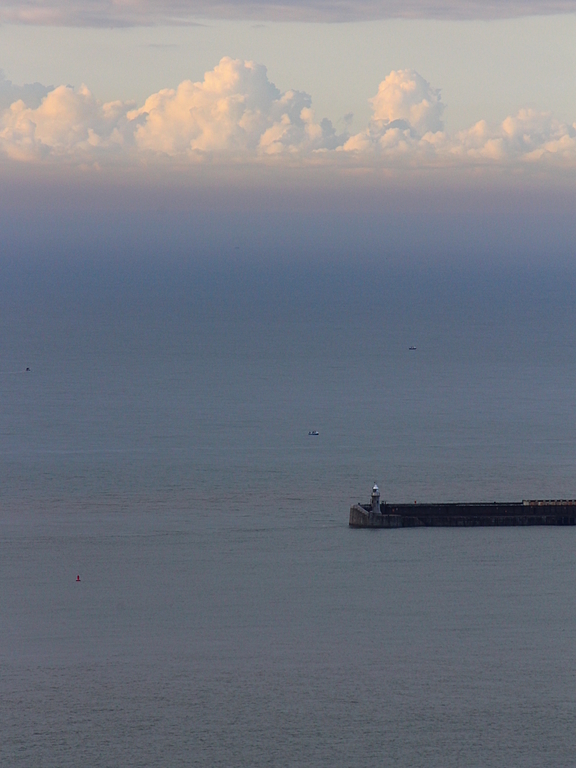 Looking over the Channel and Folkestone Harbour in the late evening. I think in 2012 Owen appreciated the magnitude of his Channel solo, when he became (and still is) Ireland’s youngest ever Channel swimmer. He’s also a very experienced crew person whom I can’t recommend highly enough. On the horizon is Dungeness Nuclear Power Station, rarely visible from Varne, where Lisa Cummins became the first (and only) person ever to land on her second lap of the Channel. Not even Kevin Murphy, who has done just about everything Channel-wise, has landed there. I’ve taken quite a few photos of the local traditional design Knocknagow fishing boats, an easy local subject that just keeps giving. 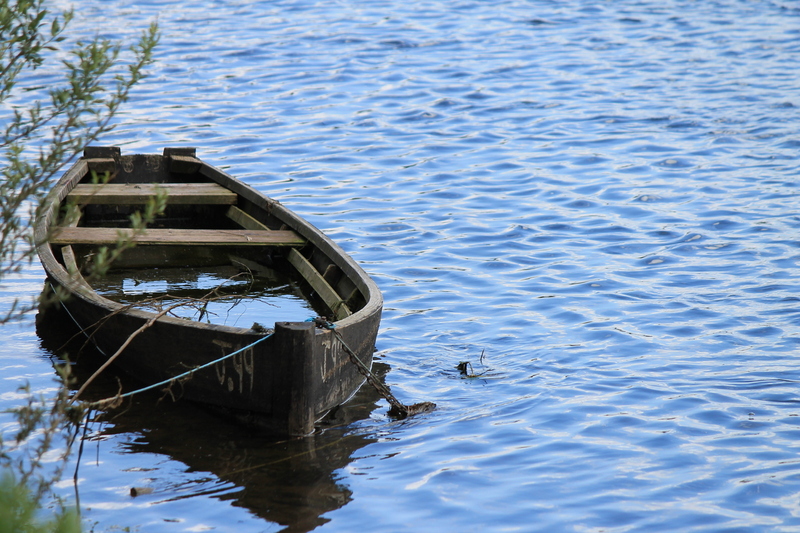 Clinker-built with a flat bottom, as the river is tidal up past Carrick-on-Suir with lots of mud flats. They often sit idle in the estuary in the winter, filling with rain, and often even sink, only to be refloated and repainted in the spring. 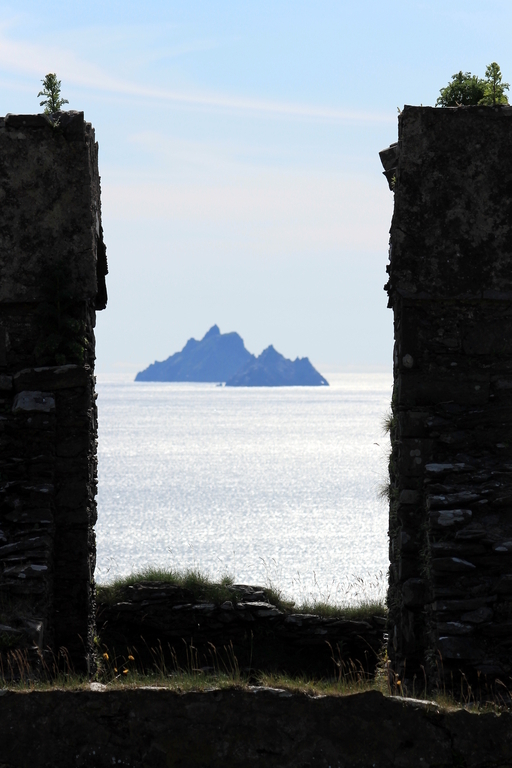 I have taken many iterations of this same photograph over the years, one of my other favourite places on Earth, the Skellig Island, last vestige of Europe, twelve miles off the Irish south-west coast, here framed by the twin chimneys of a ruined cottage in Finian’s Bay. I probably took 30 or 40 photos on the day I took this one. To add to all the others over the years. 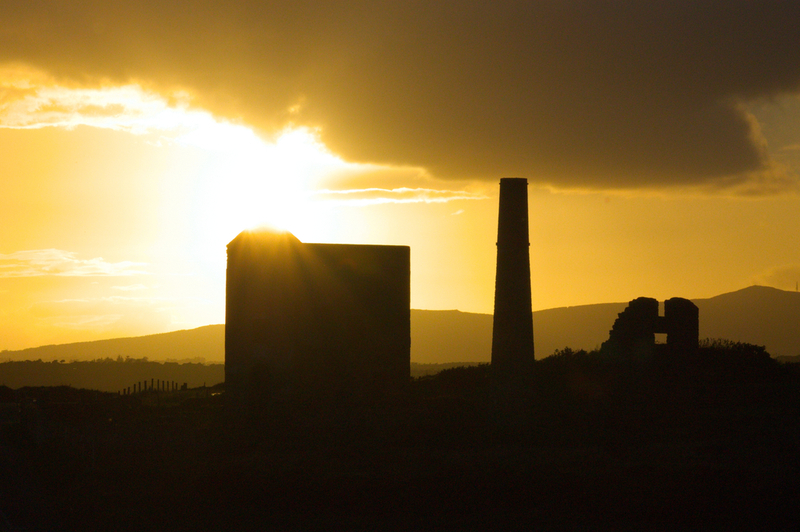 Shooting directly into the setting sun above the ruins of the Cornish Engine House situated on the cliff top at Tankardstown, above the old deep copper mining shafts. To get the sun and ruins silhouette, I had to use a high ISO, so there’s a lot of noise (grain). It came out as I wanted, though this is another subject that I revisit. Clouds are rarely worth taking. 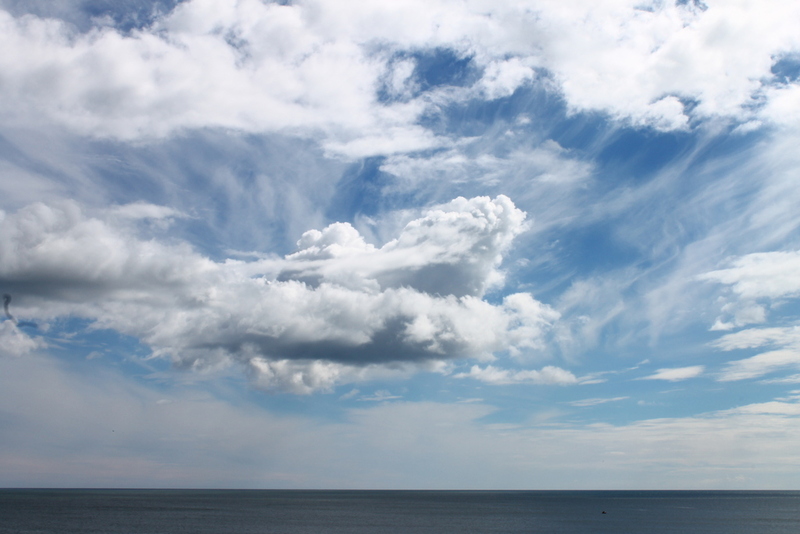 But some days seem dramatically perfect for aerial shots, with a calm sea beneath. 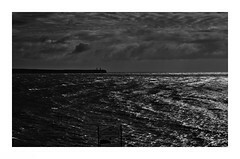 Tramore bay in the autumn. 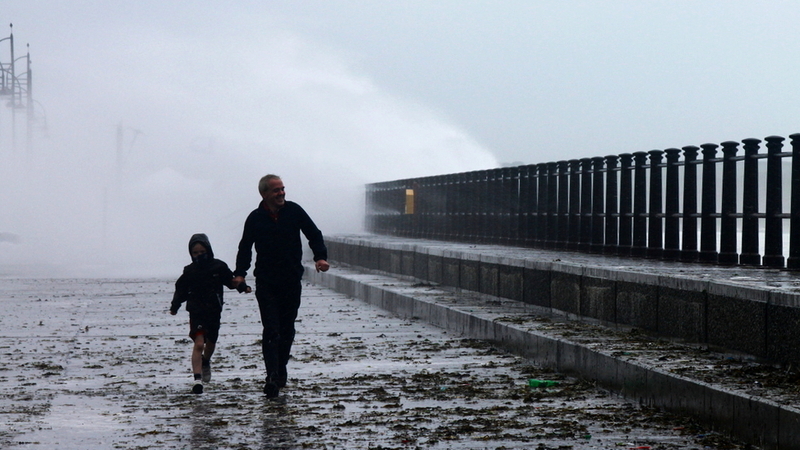 From that summer storm post again, I was pleased with the candid fun nature of this photo. Dover has three lighthouses within the harbour, one at each side of the harbour mouth, (the northern one seen in the blog banner), and this one is on the end of the Prince of Wales pier. 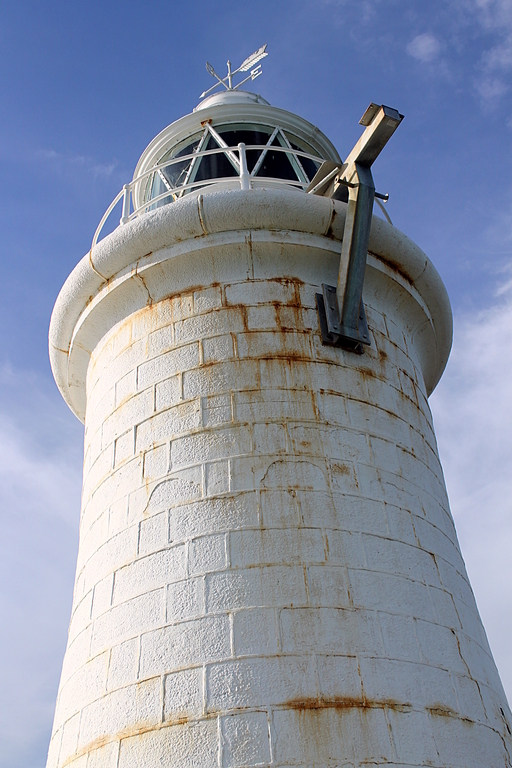 The curved nature of the small lighthouse helps reduce the photographic no-no of converging perpendiculars usually associated with taking high building from ground level. One thing I am (very slowly) learning about photography, is to the chase the light, particularly early morning and late evening. Harder in the northern latitude when the days can be up to 18 hours long and I don’t really like getting up very early. I wrote on the marathonswimmers.org forum that I’d long wanted to get a good shot of ZC2 as it was one of my original ideas for the name of this website. I didn’t choose it as a name because it was too esoteric, too easy to mixup in casual conversation. ZC2 is a key waypoint for Channel solos. Being too far north/outside of it, as you sweep south-easterly on the ebb tide, means you will likely miss the Cap after the tide turns. I took this during Alan Clack’s Solo, he was within metres of it, whipping past it metres every second with the tide, passing on the inside. The day wasn’t perfect for my ultimate ZC2 shot, but it will suffice. A lot of the time I imagine a shot I want while no-where or no-when near the subject, then have to chase it. 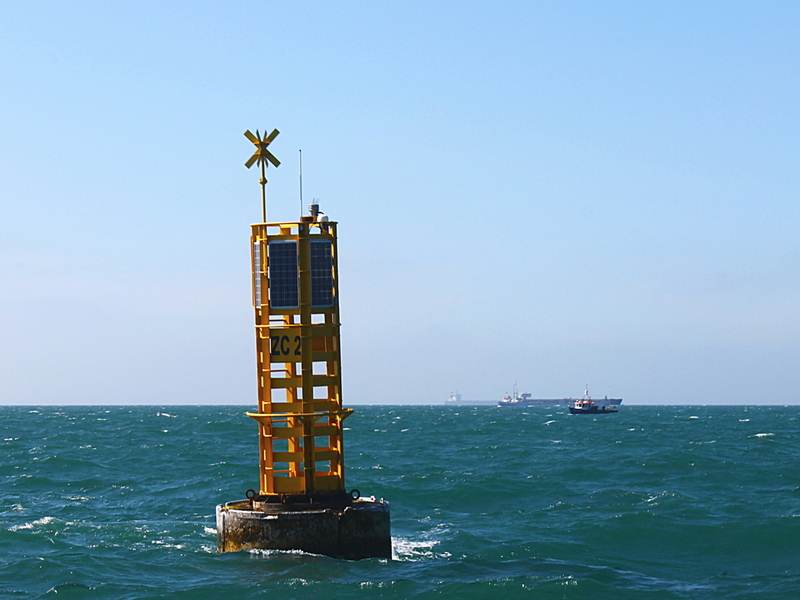 We know and talk about the English Channel marine traffic. Many swimmers will have big ship or two pass within a couple of hundred metres. But as you look out from Varne or the Cap, that traffic volume isn’t readily obvious, distance and haze and light obscuring it. 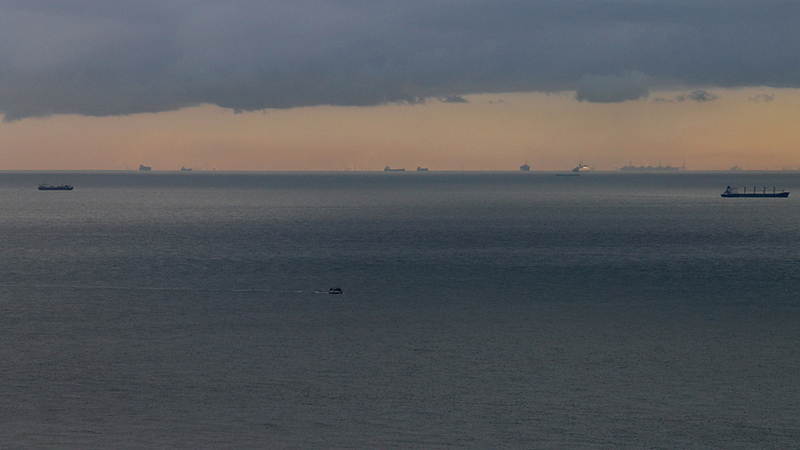 This photo was taken with a 200mm telezoom just before a late dawn on a November Sunday morning on the Varne cliffs, of the traffic outside Calais. I rarely find a use for the zoom, as my eldest, a much better photographer than I warned me, but when you need it, it’s invaluable. 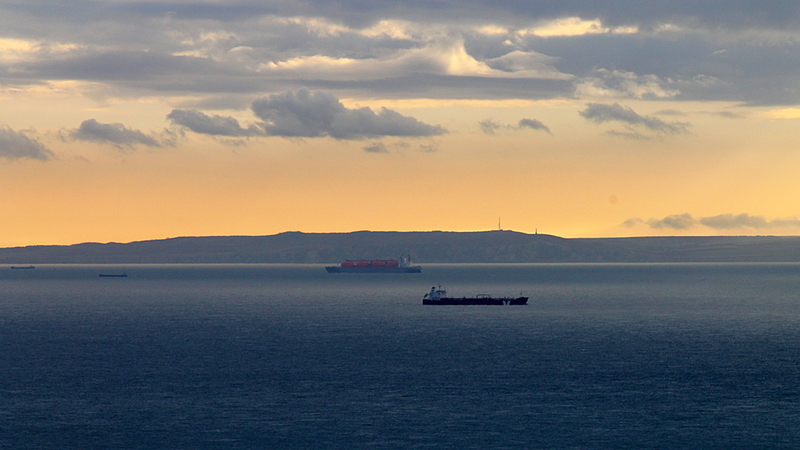 Cap Gris Nez is directly across from Varne, often visible. Once again the telezoom before dawn shows the middle of the Strait and the far side traffic, directly in front of the Cap and the radar station on the Cap itself. Foreshortening diminishes the width of the Separation Zone, at its narrowest point in front of the Cap of about a mile width, and seen here graphically between the northeastward-bound and southwestward-bound ships. 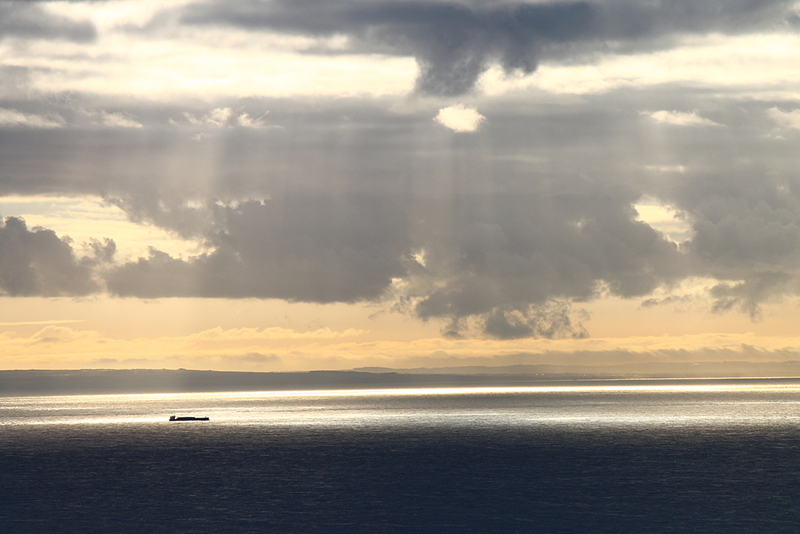 I have a great fondness/weakness for photos of shadows and light on the sea, caused by clouds and/or under-exposure. Just an occasional time, some of them work. 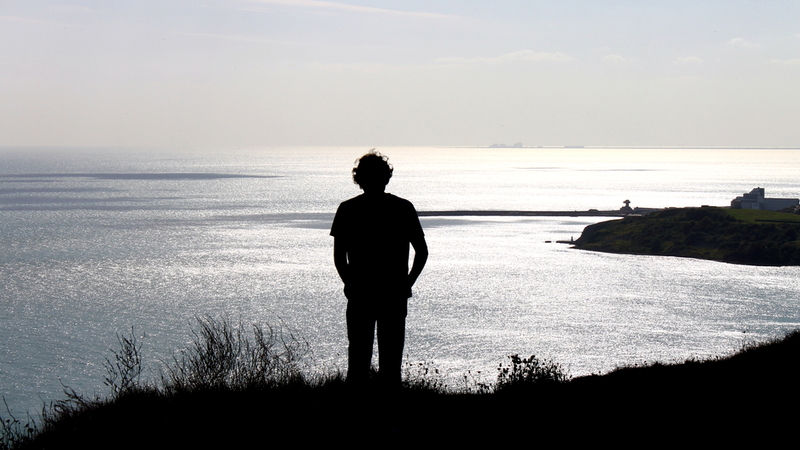 In truth, I love almost any kind of photo of the sea. You know, people buy cheap prints in TK Maxx and Home Furnishing stores to put on their walls and everyone has the same ones, the Brooklyn Bridge, a random beach, whatever. Contact me and you can get an original canvas print for yourself! Swimming Manhattan. 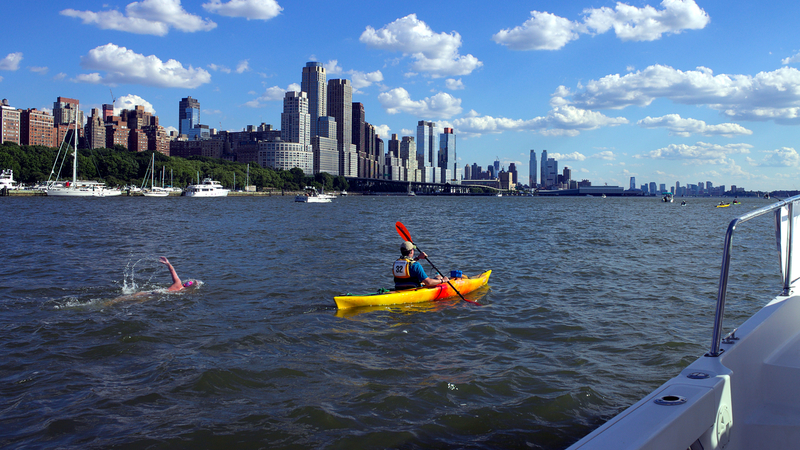 Dee took a photo of my and kayaker Brian swimming down the Hudson that I have a liking for, I’ll always think of it, (whimsically), as swimming toward the Emerald City. 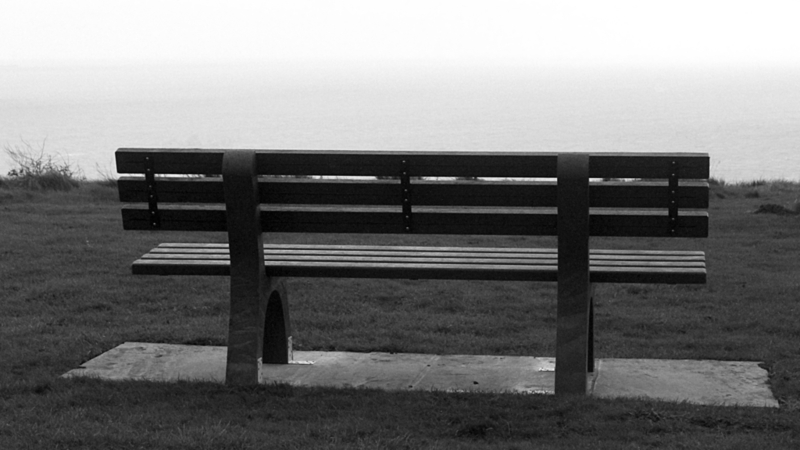 This is a bench erected at Varne Ridge, following an idea from Rob Bohane, by friends and members of Sandycove Island swimming club, in memory of Páraic Casey.